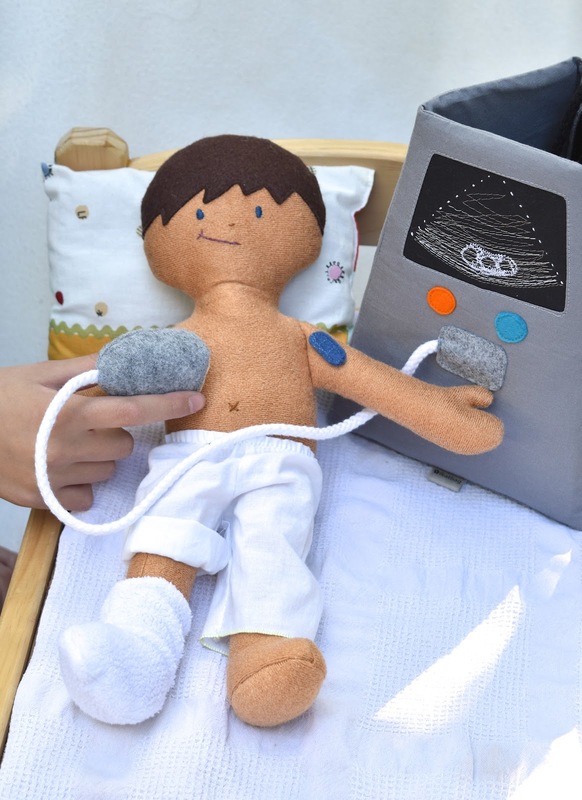 I am ridiculously thrilled to share my Owie Doll MedHub with you today! Actually, it's a bittersweet kind of thrilled. See, this project has been in my notebook for years. 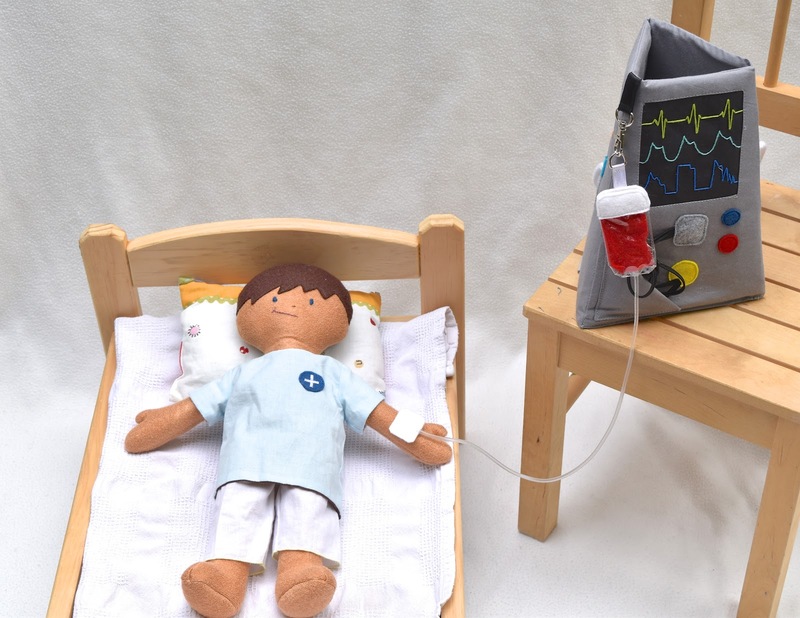 Ever since I made my first Owie Dolls in 2009, I'd been wanting to create a medical center thingy to help kids visualize the hospital experience beyond just broken bones and bandages. The original design didn't look quite like this; it was more fleshed out in the interactive details than the engineering aspect of its structure. Now that it's finally rendered in fabric and no longer just one of the hundreds of sketches and ideas living in my brain or notebooks, I'm happy. Thrilled, even. 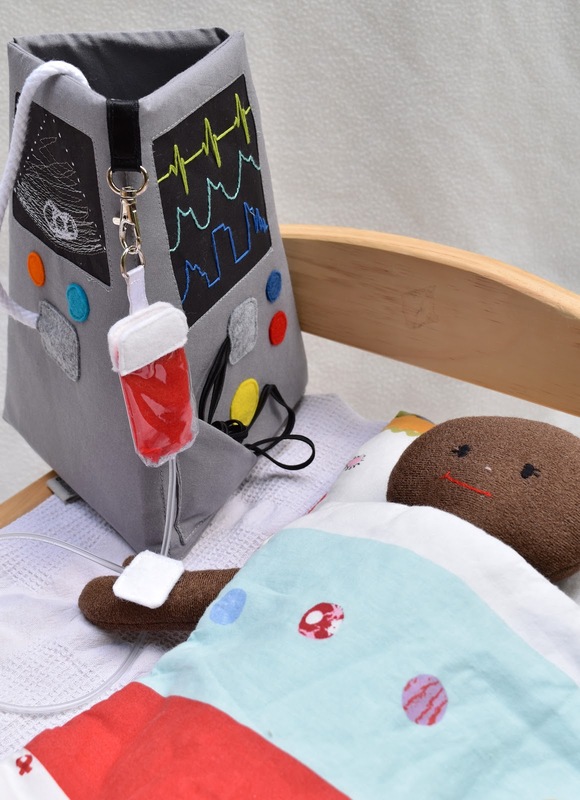 That said, while I was researching the actual medical devices from which this Med Hub is inspired, I thought of the brave kids who, because of what their bodies are going through, were already so familiar with them. 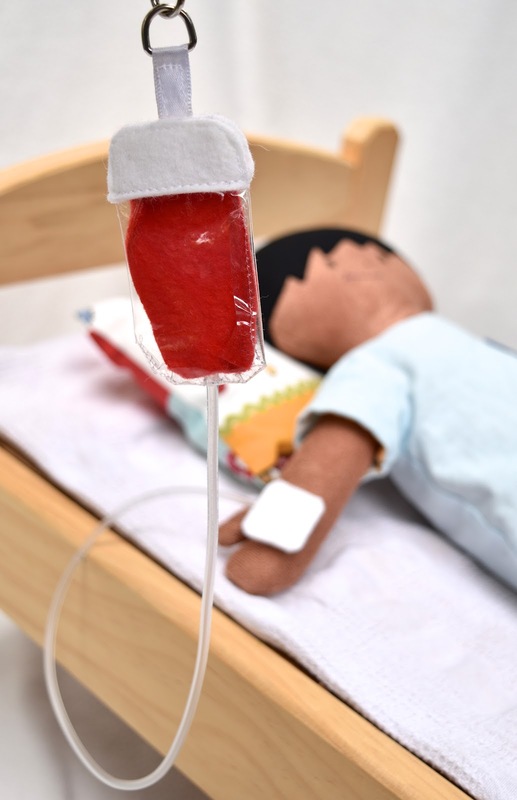 I also remembered email correspondence from blog readers who'd asked me how they could make IV bags and removable hair and other specific add-ons to fully personalize their dolls to reflect the experiences of their little ones. It all made me a little sad, but I also wanted it to inspire me, so I stored them up in my heart - and notebooks - and let those thoughts percolate over the next few years. 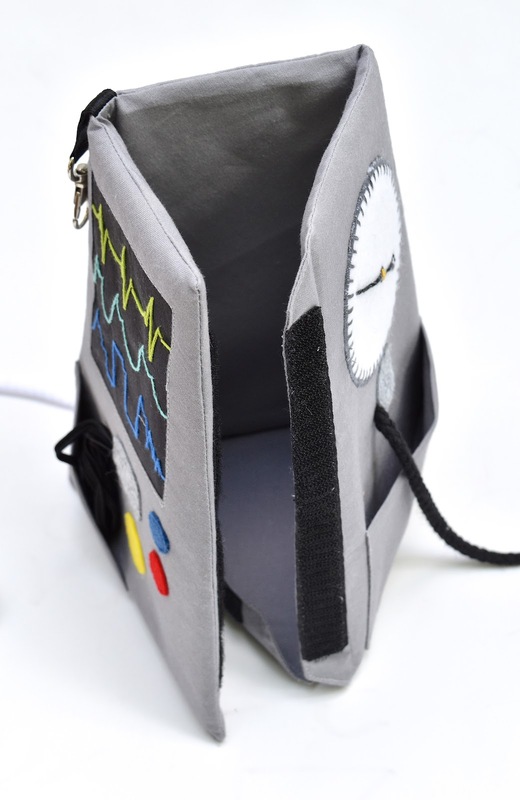 I don't know of any other ikatbag project that has enjoyed the resurgence of so much interest since it first debuted on the blog six years ago. 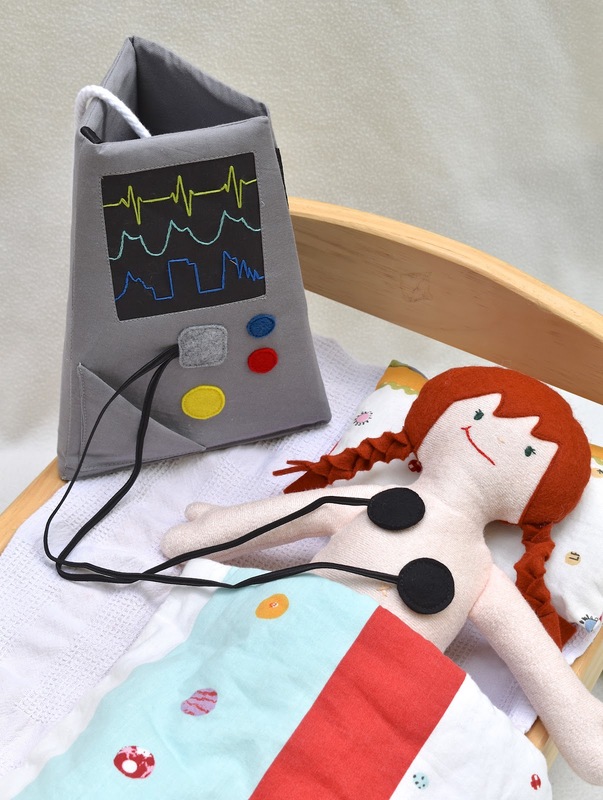 Since then, these Owie Dolls have spawned new hairstyles, portable sleeping bags, multicultural skin tones, removable hair, a pdf pattern, a kit and, now, this spanking new medical equipment. 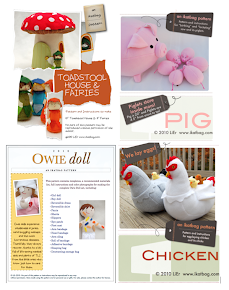 My kids still love their dolls and are excited every time I make a new batch. They want to hear the stories behind the add-ons and the spin-offs, they want to help name the new dolls for the shop, they want to stage the photoshoots and do the packaging. And they help stuff and inspect each doll for sticky-out threads and take votes on which one has the sweetest - or handsomest - face. Tickled as I am by how loved they are, no one is more surprised or grateful than I at their staying power. So each time I revisit them to make a new batch, I try to take another of my percolating ideas and bring it to life. Like the MedHub. Let me give you the tour. 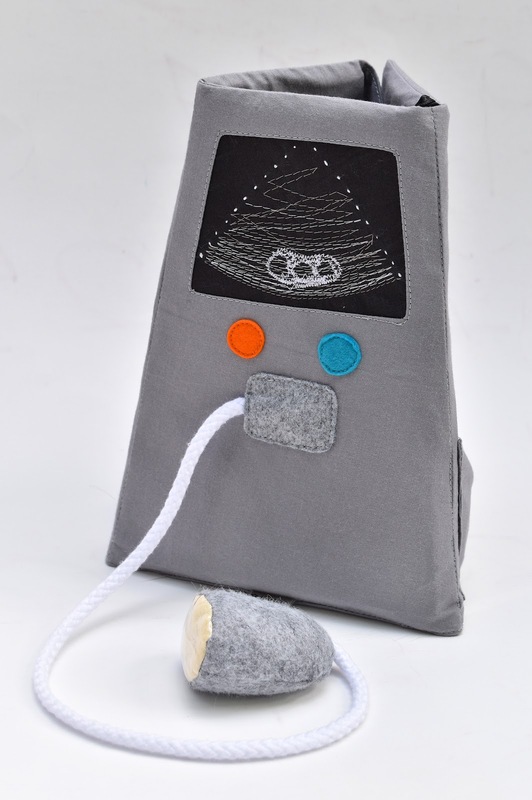 that you can slide smoothly over the doll's body to create an imaginary ultrasound image on the monitor (mine is a kidney). 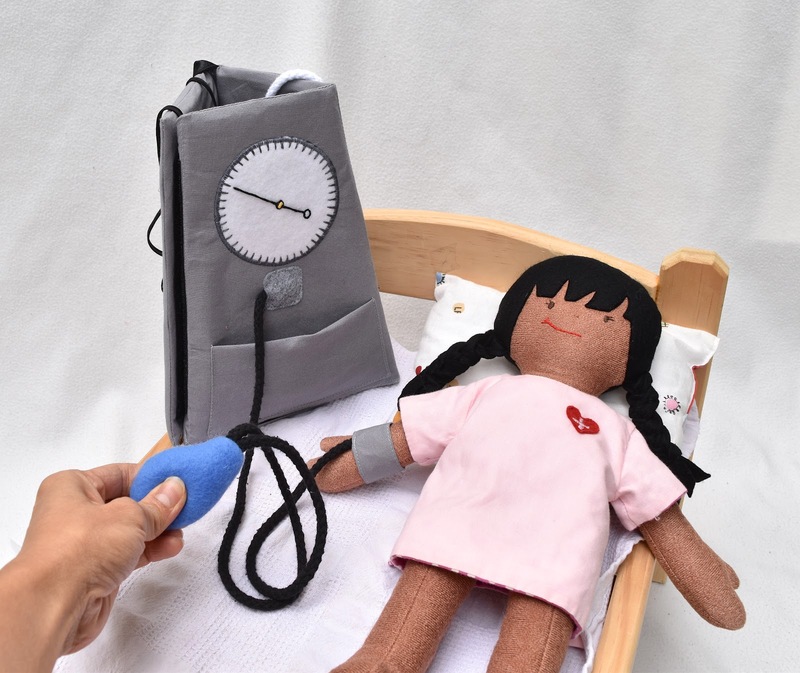 that wraps around the doll's arm, and a bulb you can squeeze just like the nurse does during routine checkups in the clinic. that stick to the doll's skin, to generate readings of her vital stats. 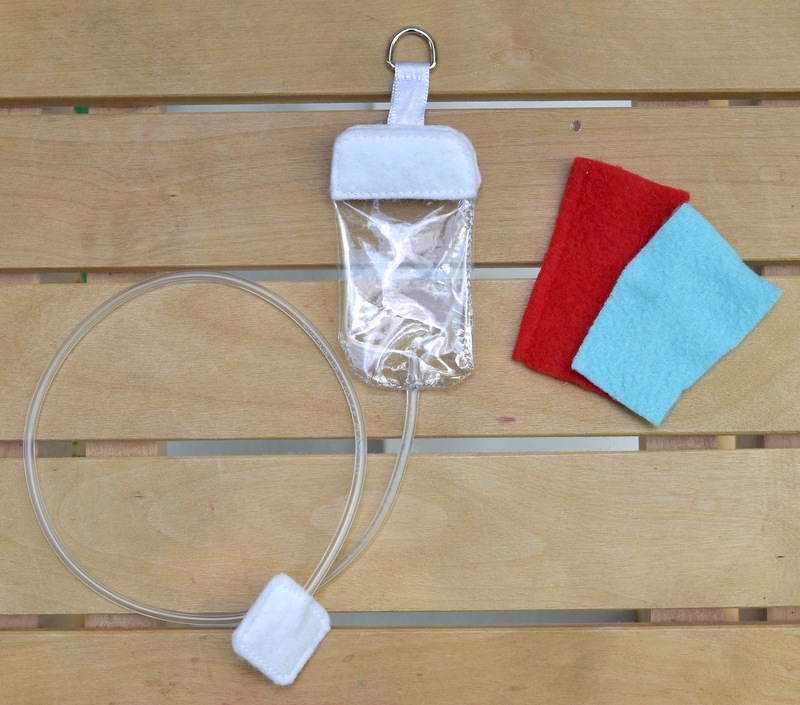 a detachable IV drip bag that's clear so you can swop in different colored swatches of fabric or paper to create different kinds of drip solutions. The patch on the other end attaches to the doll's skin (one of my children decided that it could go anywhere but the face, because "that would be awkward"). The Med Hub is essentially just a three-walled structure, but with a base, it doubles as a storage container for all the Owie Doll bits and bobs. 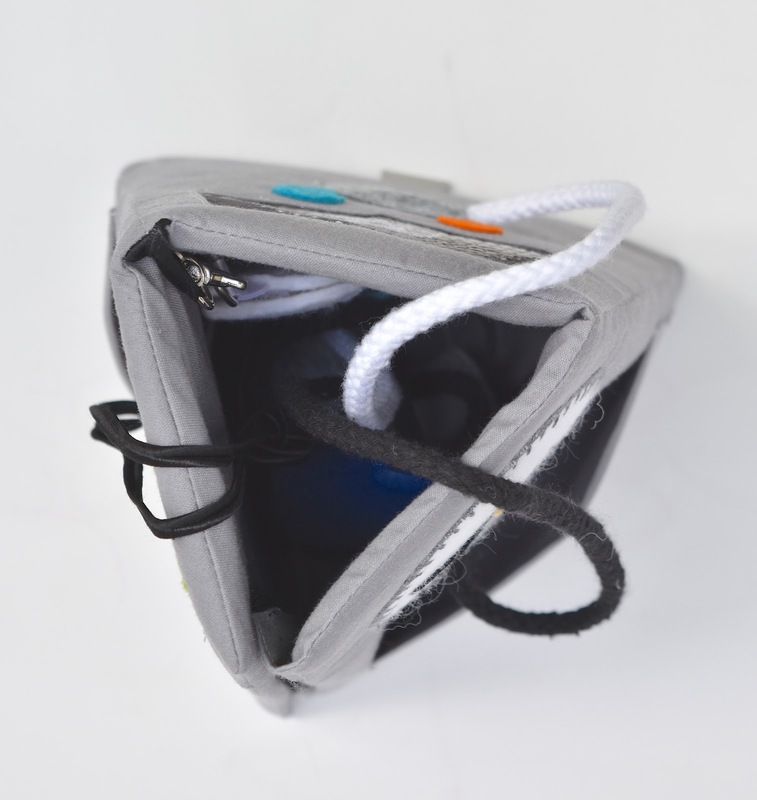 and stored flat, with optional pockets for containing the various cords and cables. Last shot of the MedHub with Kate's new dolly - who still has no clothes - in her sleeping bag. It's a fun sew. And while the MedHub has little details, the actual construction is straightforward and relatively quick - no zippers or anything like that. The goal is to get it out to you next week. Do I detect skeptical eye-rolling? Will LiEr end up procrastinating like she did with Menagerie? Alas, no: this is October. I cannot afford to procrastinate in October. I'm already 80% done, actually. After all, the MedHub is a mini-pattern compared to Menagerie, and has only a fraction of Menagerie's hundreds of photos. 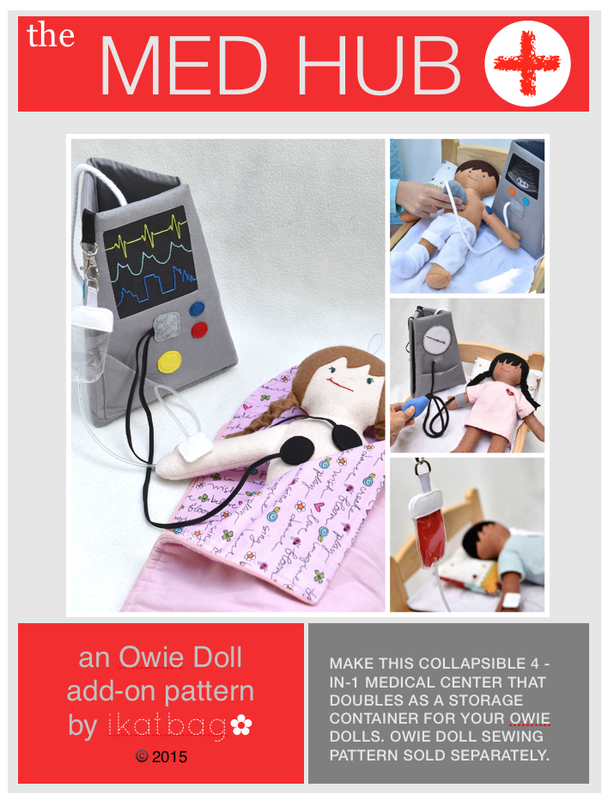 Now for the surprise: to celebrate the launch of the new multicultural Owie Doll kits at Take&Make, everyone who purchases a kit throughout the month of October 2015 will get the MedHub sewing pattern free! Simply save your receipts/proofs of purchase showing the date, and email it to me. 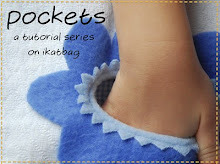 I will send you a link to download the MedHub pdf pattern for free when I release it next week. 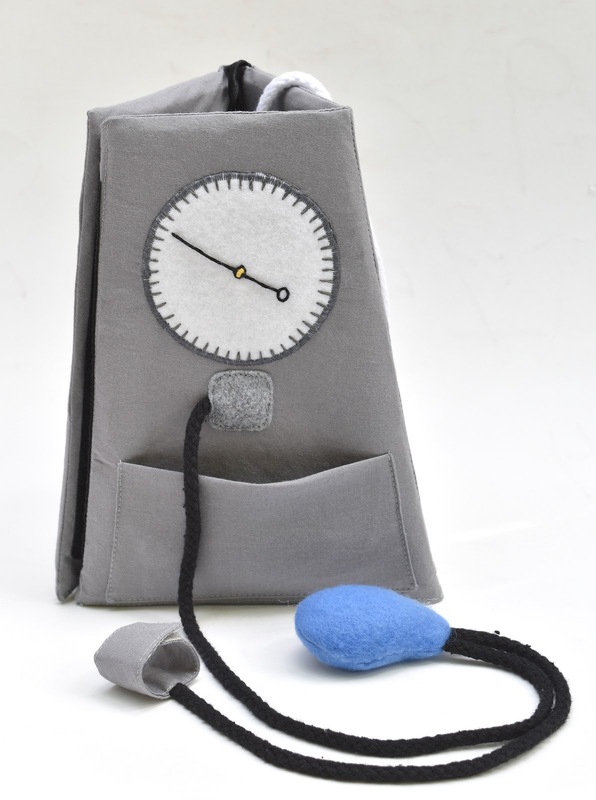 Finally, in anticipation of your question: no, I regret that I am not making MedHubs for sale in my etsy shop (for my excuse, see above paras on how insanely packed my October/Nov are). However, I do have one MedHub sample from the photoshoots that I will put in the etsy shop along with the seven dolls I promised, in time for the holidays. Check back soon for shop updates! 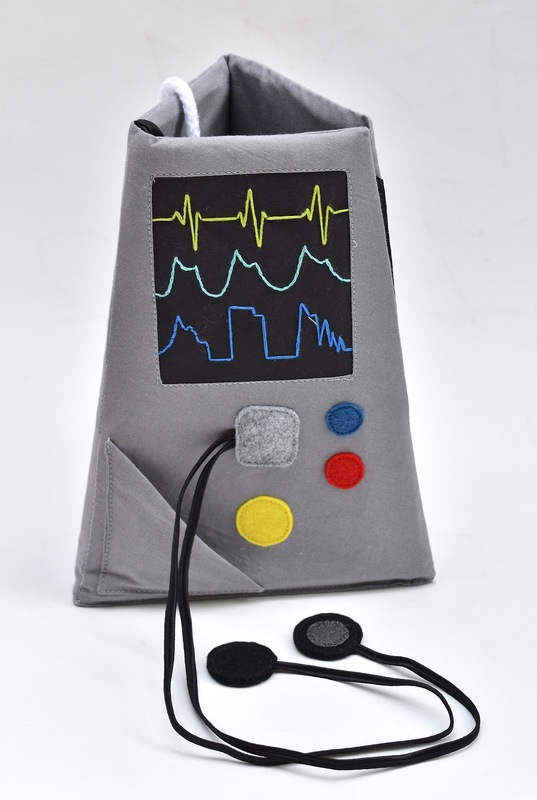 This is truely awesome and will hopefully help many children understand what is going on (with them) in a hospital. Thank you very much for designing this. Sweet, I get the pattern because I just bought a kit yesterday! My kiddos will be so happy! What lurks among the pages of your notebook and among the corridors of your brain!?! Love your imagination and talented execution of your ideas. This is pure awesomeness. Love it. Every hospital needs at least one of these - ideally many! This is wonderful. Funny thing - I saw your picture of the bag with the red fabric and thought "we need one with blue in it" - and then it turns out you had made one. I am impressed! I think you hit the ball way put of tge park with this one! Well done!! This is so amazing! My son just got out of hospital recently, and now you're making me all teary thinking of all the other children in the same situation. This could really make a change in their life. This is ridiculously awesome and perfect. 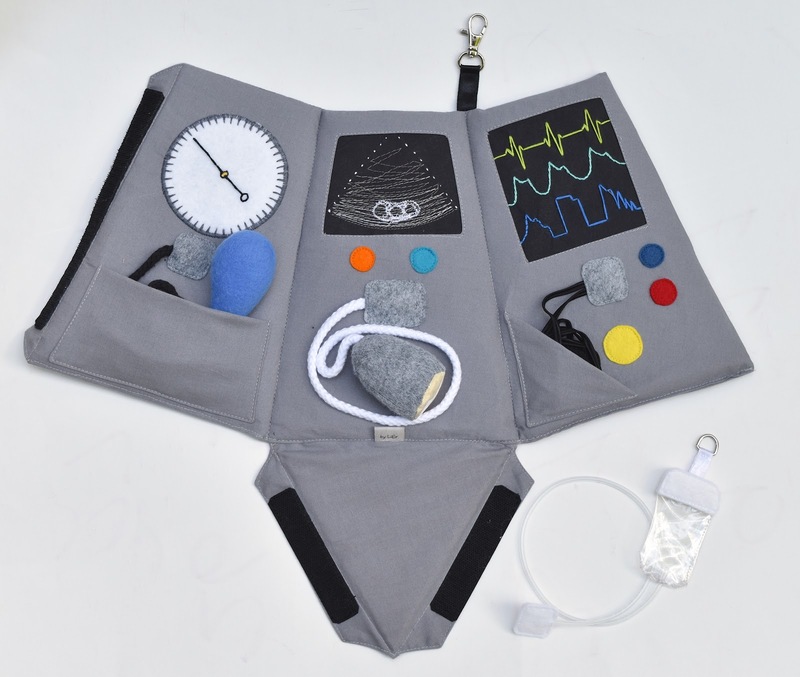 I had a three month old in the hospital for weeks and this would have been so helpful to help explain to my older children everything that was attached to my baby for days on end. Thank you for what you do. this is seriously awesome. 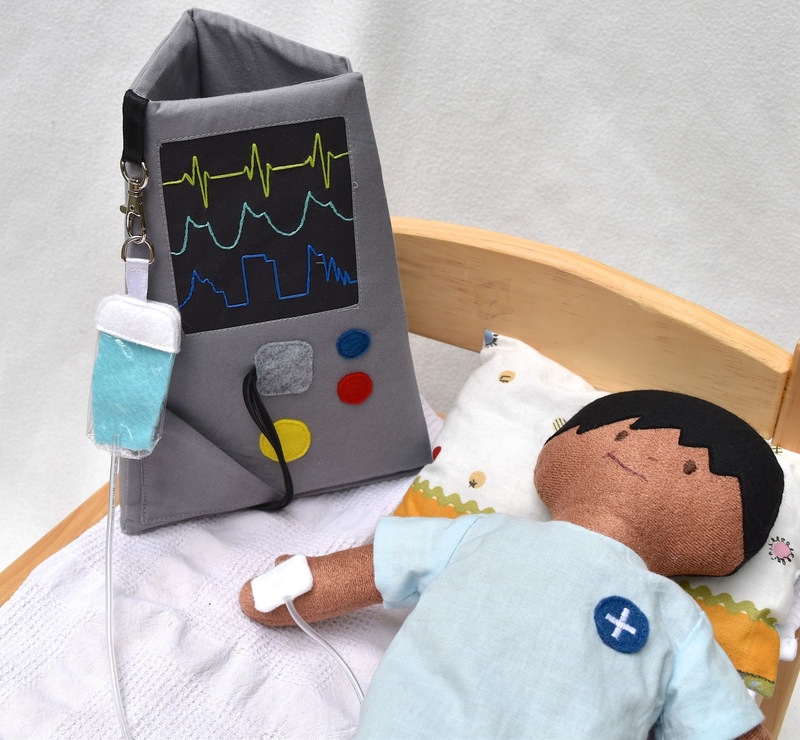 there may never be a way to ensure that less children have to be hospitalized, but hopefully this helps lessen the fear and otheredness they face from lack of understanding.